Disorganized? Don’t blame it on your brain. You were going to clean out that cupboard today, but a TV program came on that you didn’t want to miss. And after all, if you miss this program it may never air again – and you can always clean the cupboard tomorrow. In the old days we used to call this procrastination – doing what you would rather do now and putting off the more important things until later. But with all of the brain research going on today, it’s now evident that it’s your brain that’s at fault. 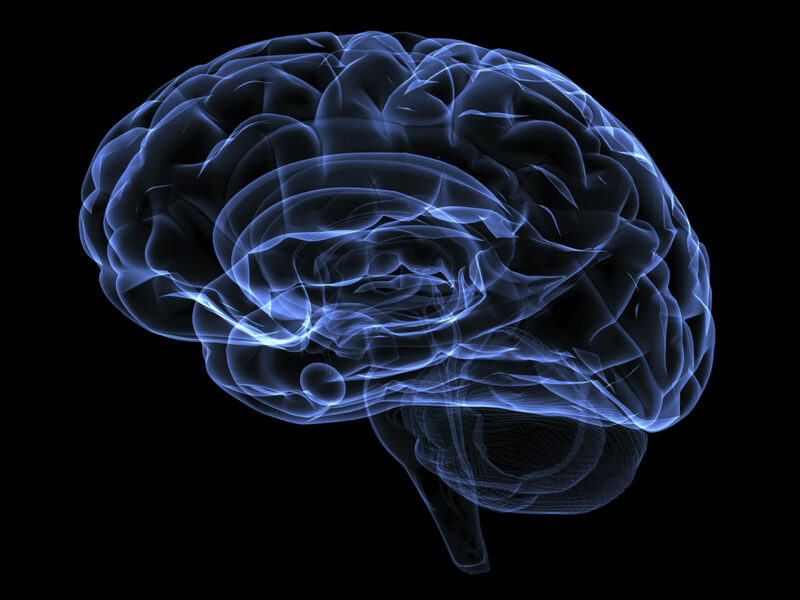 The brain’s default setting is “to tap the least tiring cognitive process,” according to an article in the December, 2015 issue of Scientific American Mind. We now have legitimate reasons for shirking our responsibilities, rationalizing our errors, and making snap decisions without examining the facts. With the advent of functional MRIs, and locating the regions of the brain responsible for everything from lack of willpower to angry outbursts, we can pinpoint the blame even further. “It’s the insula or the dorsolateral prefrontal cortex,” we might claim. We even have attorneys arguing in court rooms that their clients were not responsible for their crimes since it was some malfunction of a certain region of their brain. I have over 50 books on the brain in my library – everything from Brain rules to A better brain at any age. What I have concluded personally is that the mind is separate from the brain. You are not your brain; you are your mind. Your brain is simply part of the body – your personal computer, which does your bidding. You can control your brain – unless this most complicated computer in the universe actually breaks down – so get ready to accept responsibility for at least most of your behaviours. Most of brain books will confirm the neuroplasticity of the brain, and that you are able to reprogram it to develop willpower, resist impulses, overcome procrastination, and strengthen your planning and organizing skills, and so on. Although most scientists believe the mind itself is simply a part of the brain, my own unscientific mind tells me otherwise. It is the only way that consciousness and immortality make sense to me. It may be linked with or even be another name for soul and/or spirit; but if it is energy, it cannot be destroyed, only changed in form. My intention here is not to get you to believe in life after death, but merely to warn you not to blame your brain for every lapse in focus or any urge to take the path of least resistance. You may not be your brain; but you are able to control it. As one of those brain books urges, change your brain; change your life. As an example, there are many ways you can strengthen your executive skills – those brain-based skills that allow you to focus, persist, plan, resist impulses and maintain self-control, among other behaviors. I suggest ways of doing that in one of my latest eBooks, Strengthen your brain’s executive skills, to be published in January, 2016 by Bookboon.com. “To do” lists are fine when you’re young, but as you get older you also need the encouragement of “Have done” lists. At least, I do. There is nothing quite as satisfying and motivational as glancing at the myriad of tasks, projects and other accomplishments listed, scheduled, and crossed off on the pages of my past planners. Even seeing the planner inserts of the past 30 years stacked like books on a bottom shelf of the bookcase, the year marked boldly on the spines, provides an assurance that my life has not been wasted. If I were to take the time to flip through those pages I would see the evidence of my 20-plus books, over 2000 speeches and workshops, conferences attended, cruises enjoyed, travel booked, meetings attended, and friends, parties and stage plays enjoyed. If my memory fades, I can always refresh it by looking up that cruise in 1987 or the vacation in Costa Rica in 1991 or that adventure in Mexico in 2015. Would a digital planner have done the same? Well, aside from the fact that it was not available at the time, the answer would have to be no. Digital records seem to be fleeting, evaporating after a time and unavailable a few years hence. How many people keep their digital planners intact? And how accessible are they? And what details are recorded there? We don’t live digital lives; we live in real time with real “hard copy” lives, and we should leave footprints of our lives that are not as fragile as footprints on the beach. After I’ve gone, will my children keep and treasure those planners as I have? Will they reminisce when they see their own adventures in school and sports recorded there? Will they write a biography of their dad based on the entries? Or use some of the information for a eulogy? Very unlikely. But it doesn’t matter. These planners are a testament to my having lived, loved, worked and played – and achieved something of significance. And hopefully I will have left the world just a tiny bit better because of it. As I continue to live, I still find them motivational. And I will continue to use them as we enter 2016 – and hopefully beyond. People seem to thrive in a work environment where they have clear performance objectives and are allowed more freedom to choose their own work methods, hours and location. A January 11, 2012 Toronto Globe and Mail article cited a survey in which two out of five respondents said they would take a lower paying job if it gave them leeway with respect to mobility, choice of electronic devices and social media access. There is a trend towards flexibility in both working hours and location. Studies have shown the traditional workstations are only occupied about 50% of the time. One survey of 950 companies revealed that 60% had some unassigned workspace in their company. We have gone from individual offices to cubicles, and now seem to be moving towards the sharing of a desk or a table in the company office – with the majority of our work being accomplished at home or on the road. According to a November, 2015 issue of Tampa Bay Times, more than 24 million Americans now work from home at least some of the time. And they are reported to be a lot more productive at home, with fewer interruptions, fewer distractions, more comfortable environment, and minimal office politics and less stress from commuting. 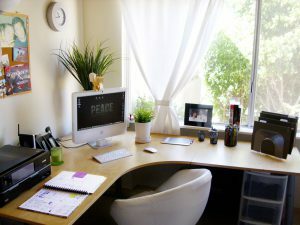 Paul and Sarah Edwards, in their book, Working from home, indicate that productivity rises 15% to 25% when work is done at home instead of at the office. There is much time to be saved if commuting to an office can be eliminated. According to the Toronto Board of Trade for instance, getting to and from work in this city consumes an average of 80 minutes. Mobile applications and conference calls, email etc. now make it easier to work at home and on the road. It’s important to be able to share energy, creativity and brainstorming with others; but it need not be done daily. A Careerbuilders.ca survey shows that nearly one third of all remote workers spend one hour or less on the job each day when working from home. Whether you are more or less productive working from your home depends on your individual situation. If you ask the telecommuters, 37% say they are more productive at the office, 26% say they are more productive at home, and 37% don’t see any difference. Distractions seem to be the critical factor. The more significant home distractions, in reducing order of severity, are household chores, TV, errands, children, Internet and pets. To be productive at home you must structure your day and maintain a work mindset. For example, one survey revealed that about 25% of telecommuters tend to work in their pyjamas. Instead, you should dress for work, keep a normal working routine, have dedicated office space with the necessary office equipment, stay connected with working colleagues, plan your breaks – and occasionally take your work to a coffee shop where there are people. You may find that when you work among others at a coffee shop, you can feed off their energy without being interrupted.